Chaturmukha Basadi is a symmetrical Jain temple, situated on a rocky hill at Karkala in Udupi District of Karnataka. Chathurmukha means four faces, Consecrated by Vir Pandya deva, the king of Bairarava family in 1432, the basadi was completed in 1586. 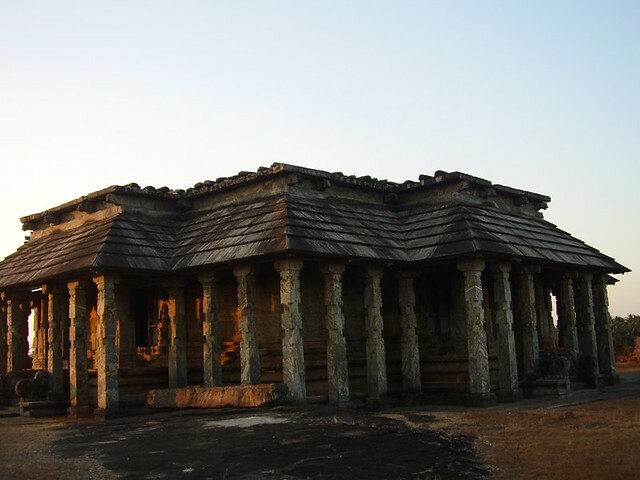 It is built in the form of a square mandapa or hall, with a lofty doorway and pillared portico on each of its four sides. Since four identical doorways in four directions lead to the Garbhagriha, it is called Chaturmukha Basadi. The roof is flat and is made of huge granite slabs. In the Garbhagriha, one can see the standing statues of Ara, Malli, and Suyrata. Besides these, the images of the 24th Tirthankar and Yakshi Padmavati can also be found. There are a total of 108 pillars inside and outside the temple. This is the most celebrated temple in Karkala, and is referred to in the inscriptions as Tribhuvana Tilaka Jina Chaityalaya and Ratnaraya Dhama.